Here are 3 reasons organizations should take a step-by-step, engineered approach to strengthen work culture. North American employee engagement has remained around 30% for 20 years according to Gallup. They found the primary predictor/ influencer to be the relationship between employees and supervising managers and whether each employee understood what was expected. Imagine how much available workforce energy hinges not on budget but on every leader’s behavior – whether managers communicate what’s expected and act in an objective and respectful manner. Organizations have established and follow generally accepted accounting principles (GAAP) but perhaps there should be an equivalent, a basic guide to generally acceptable manager-employee practices. The reality is that too few businesses even make an attempt to guide/coach managers to even a minimum standard of behavior. Organizations mistakenly assume leadership skills to be innate, instinctual and successively hire and fire until they find enough ‘natural’ leaders. In contrast, organizations like 3M continue to successfully grow their own leaders. Too many organizations are good at tracking what’s measurable but poor at guiding what’s observable – e.g. behaviors. Enforcing a basic, positive level of managerial interaction would raise involvement and engagement levels and undoubtedly impact business results. The new expectation of employees is that they must do their jobs while at the same time actively help to look for new products, services, savings, or alternatives. Static organizations that assume industry forces remain constant do not last. Long-surviving organizations expect employees to think and help make frequent changes to stay relevant. Walgreens Pharmacy, from 1984 to 2000 opened 2.3 stores a week, but their focus changed during the next sixteen years. From 2000 to 2016 Walgreens acquired other chains, became multi-national, and established worldwide contracts to protect its cost structure (Walgreens.com timeline). The search for, experimentation around, and evaluation of new ideas and methods is behavioral rather than overtly measureable. Measuring the number of meeting hours devoted to brainstorming isn’t the point – it’s the development and protection of new ideas in the hope of developing contributing initiatives. Protecting new ideas and fostering new approaches is behavioral and, therefore, cultural. These behaviors need to be ‘baked in’ if the organization is to adapt, thrive, and survive. Many organizations have strategic plans but those with good plans and a positive culture can respond more effectively to competitive pressures. One CEO called a positive culture “powerful”. Kelleher referred to culture as a “mosaic,” composed of ‘thousands of little pieces’ or behaviors or interactions based upon a sincere, tangible, demonstrable belief system. To strengthen a culture, leaders must believe and incrementally, daily act in concert with their belief system and set a basic standard of behavior for all their leaders. The path to belief, however, is not the same for everyone. There are two main routes and both must be employed to move forward. The next post will explain this further along with three practical ways we’ve found helpful in efforts to strengthen culture. Leaders see the potential for growth beyond already functioning efforts like lean or six-sigma. They seek ways to make innovation the new everyday ‘normal’ to increase performance, engagement, and agility. They want to move past process activities to influence leadership, customer-service, and collaborative behaviors and for all employees to innovate vs. only a few enthusiasts. A work culture is the by-product of how actions, behaviors, and words are positively or negatively reinforced and is largely influenced by leaderships’ actions. This explains why functionally identical facilities within an enterprise often develop distinct characteristics. A nurse once surprised me by saying the “culture is better on the other side” of the same hospital floor. Different nurses led the left and right sides of her floor which led to a perceptible difference, despite being only 50 feet apart. 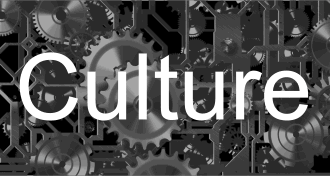 Culture, therefore, is less about what an organization does than how it does it. Since a work culture is a symptom of how we work, we must target its root influences, the daily behaviors of leaders and principle actors. Adjusting behaviors, however, is not as simple as issuing new standard operating procedures to revise process activities. New leaders are frequently surprised to see their words and actions discounted. Employees interpret new leadership through their experience, giving MORE weight to past treatment and LESS weight to today’s dialogue. They wait for their new leaders to eventually act like previous leaders. It may not be completely fair but history is a powerful tutor. Patience is required for it can take time for people to consider your words and actions at face value. In an example referenced in a previous culture definition article, it took 5 years for a workforce to finally conclude their business’ new owner was actually as people-oriented and trust-worthy as he claimed from his first day on the job. A work culture rarely forms based on a single leader’s actions as it considers every management team member. While each of us should strive to become as effective and honorable as Lincoln (I wrote a leadership guide based on his actions), your individual influence can be blunted. If your organization tolerates or even rewards leaders whose actions contradict the organization’s stated values – people will recognize the hypocrisy and lower their commitment to match the lowest level of allowed leadership. A leadership teams’ collective influence can only rise to the level of their least effective member. Jack Welch, ex-CEO of GE spoke of this collective impact when he said leaving one or two bad managers in place is the same as negating 1,000 leadership speeches. A work culture cannot be directly manipulated – it is a product of the quality of leadership’s practice of authority, discipline, encouragement, and support. Culture can be influenced – over time – by sound, results-driven, respectful leadership when practiced by every member of a leadership team. You may not have the degree of influence over your culture you first envisioned, but the benefits are still worth a determined, evidence-based effort from you and your team. – Description of techniques we’ve found beneficial. Pierre Naterme, Accenture’s CEO, revealed key insights for leaders seeking to maximize employee innovation and energy in his interview with Lillian Cunningham from the Washington Post. While propelling his organization to be more agile and customer-centric, Naterme is thoroughly impressed with Accenture’s new generation of talent. He seeks to motivate their team members to go beyond the status quo using in-process feedback rather have them wait for annual review discussions. Though he believes performance management is important and that organizations need to effectively evaluate and compensate, he’s convinced their long-standing performance management system has to go. The traditional methods Accenture used (and probably promoted to clients) took “… too much effort”, didn’t fit their modern workforce, and delivered no performance lift. Even worse, as evaluation criterion multiplied (up to 10-20), the system confused and frustrated staff. If managers are no longer supposed to compare employees to each other, an objective, role-specific standard composed of sample/contributing activities will be required for leaders to use to gauge employees’ performance. Most organizations have not developed these objective, activity sets. Giving employees feedback while work progresses means the objective, activity sets need to include behaviors (reflecting what contribution looks like) and not only countable activities. Managers must also be accountable for conducting periodic, in-process coaching vs. accumulating feedback for annual reviews. Countable KPI’s are gathered for well-established activities (things that have been done before – reflecting the status quo). Finding new and better ways, however, requires people to brainstorm, evaluate, and experiment – all crucial, but not really ‘measureable’ activities. The objective activity sets need to include observable innovation activities, and not just whatever is readily countable. “If you put this new generation in the box of the performance management we’ve used the last 30 years, you lose them.” A new, ‘everything-should-be-personalized’ generation expects to be evaluated for their own, observable contribution rather than in comparison to a peer in the same role (but different situation) or in relation to a company-wide financial metric. It is encouraging to me to see a large, respected organization moving to a similar, streamlined, activity-based approach where the strategy is understandable and where individuals are evaluated based on their own performance (against an objective set of sample, strategic activities). This enlightened approach will allow Accenture’s leadership to motivate high-value contributors, push past the status quo, and quickly adjust to and exploit emerging industry trends – helping to realize Naterme’s vision of a more agile and focused Accenture. The original Washington Post article is reprinted here. Professional baseball/ basketball/ football players surprisingly don’t complain that the five fingers the creator left them are too few to grab a ball effectively and play. Musicians, sculptors, and painters don’t long (openly, in any case) for another finger or two to improve their technique. Just as five digits appear to be sufficient in many endeavors, we have also found the number five to be somewhat of a limit regarding what most busy individuals can process within their daily decisions. We often see an abundance of priorities and associated measurements – the implied logic appearing to be “if a few priorities are good, then a large number of priorities will be even better.” Not always. A CFO of a $300M business showed a page where he records 35 different weekly measurements, supposedly related to his role, but in reality only related to the lowest value, most easily measured components. This shotgun approach to strategy frustrated him and in his opinion confused his talented staff as they struggled to make sense of 35 equally important measurements apparently tied to 35 important priorities. Focusing on fewer priorities lets people more easily trace a connection to their daily choices. In the extreme, however, having too few priorities focuses significant attention upon the identified issues but then the difficulty becomes how your small list represents a complex work environment where individuals must maintain a balance between competing priorities. So on the one side, a large number of priorities acts like a fog, effectively hiding the relationship between what’s important and daily staff choices. On the other side, too few priorities can tend to distort or skew the balance of judgment necessary to deliver high-performance activities. Where priorities are translated to multiple measurements, there is also a temptation for managers to focus exclusively on the numbers, and to stop observing and guiding the ongoing daily activities that create the actual business value the numbers are designed to reflect. The objective: expend management resources directing the real activities that add value, without giving staff the impression that the organization cares only about numbers. Keep the list of major priorities to five. Each can contain a few, optimally three, related sub-categories. A larger list of priorities only limits the strategic traction you need to see, while too few priorities, misrepresents or overly-simplifies the balance of demands those performing high-value work must maintain. “I feel for Dustin.” – He demonstrates grace as he sympathizes with another talented player who came so close to winning himself or forcing an extra playoff round. “I was just able to have another hole to rebound.” – Though his play was good enough for the win, Spieth showed his humility in favorably comparing Dustin Johnson’s performance to his own. “I really don’t think of my age, I just think of us all as peers.” – Spieth isn’t worried about where he fits in the golf world, he just firmly believes that he does fit and considers everyone as equals. “It’s awesome that the game’s in young hands” – Spieth highlights the ‘young guns’ who now hold golf’s biggest wins, which shows his pride encompasses more than only his own talents and extends to the game’s young leaders. What a great illustration of leadership! It is possible to be the best – while bringing others up along with us. Is our acceptable level of integrity declining? Is it still realistic to expect integrity from notable citizens – politicians, advocates, or organizational leaders? In daily news stories, sidewalk interviews, or hearings, shameless individuals float absurd stories to explain activities which, in previous years, would have launched investigations, firings, and even criminal charges. Now challenges to mass hard-drive erasures and email deletions are rebuffed with shoulder-shrugs and filibusters. If the culprits are politicians, many are rewarded with re-election. Basically these individuals assume the populous is too foolish to discern that it is being duped, too busy to pursue an investigation, or, as I am inclined to believe, too frequently disappointed to expect their leaders to act apart from self-interest. While our political expectations for integrity may be softening, we continue to expect ethical treatment during our personal interactions (ignoring ‘white-lies’ told to avoid bruising feelings). Most of us deeply remember and resent being lied to in important matters. Is integrity destined to fade away? No. We seem to be hard-wired with it and expect it from others. Something C.S. Lewis brilliantly illustrated. Lewis observed that when we protest someone cutting into line or stealing one of our possessions, our words don’t reflect a personal viewpoint, e.g. “Hey, you shouldn’t do that because I’ve decided such behavior is unacceptable.” Rather, our words resemble, “Hey! You can’t do that – it’s not right, that’s wrong,” revealing an appeal to a objective, external standard of acceptable behavior—which we believe to be generally in effect. Lewis reasoned that if someone ‘in the wrong’ were confronted with a personally-anchored protest, their response might well be “To heck with your standard, I reject it. In fact, my standard of behavior allows me to act in this manner.” In the vast majority of occasions ‘rule-violators’ appear to accept this ‘external’ standard of behavior and instead expend their energy justifying their actions as valid exceptions to it. Lewis concludes that a universal perception of right and wrong exists, albeit with differences attributed to culture and conditions. Some may argue that any apparent integrity ‘erosion’ is the result of society moving past traditional, religious-based, behavioral concepts. I believe Lewis, however, while supportive of a religious foundation, was speaking at a more basic level – his chapter title for the comments above: “The Law of Human Nature”. Leaders encourage others to give as much of their talent, intellect, and creativity as possible in pursuit of the organization’s goals. As Drucker said, true leaders must commit to being models—worthy of emulation. Without trust in their leaders, employees shrink back, fearing negative repercussion or betrayal, never giving their all to the tasks at hand. Without faith in the integrity of their immediate leaders, Gallup found employees disengage or spread disenchantment to the furthest parts of the workforce. Both organization and employees lose. Is character still worth our imperfect pursuit? Every year, as leaders, we see our characters tempered through the challenges we face and the manner in which we face them. Our decisions—the stands we take, determine whether we grow by little or by much. This growth is like the annual rings visible in a tree’s cross-section. Our goal: characters others can rely upon and reputations hard won. 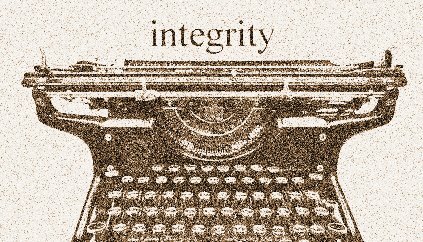 Perhaps we should have a National Integrity Day—an annual reminder that integrity is worth chasing both personally and as a country, even though we all fall short. It might help us to not abandon the kind of behaviors which have made our organizations and countries the hope and desire of individuals across the globe. As reported in the Economic Times, Microsoft abandoned ‘bell-curve’ assessments in 2013. The decision came after the 2012 Vanity Fair article “Microsoft’s Lost Decade” by Kurt Eichenweld blamed the practice, in large part, for ‘killing innovation and teamwork’. This practice was also promoted by other leaders, most notably, Jack Welch, who as CEO of GE wanted to cull non-performers (the bottom of the bell curve) from the then too-large GE workforce. Unfortunately other organizations adopted the tactic even though their situations were different. Five reasons why the approach belongs in the office waste bin. Rather than take the time to construct a comprehensive definition of what was required for a specific role, managers only had to compare employee performances against each other. Without an objective standard for their roles, employees schemed to retain/elevate their status by seeking placement in projects with less-capable performers. Teamwork morphed into inter-team positioning and popularity. With top-performers avoiding, rather than seeking to work with the best, Microsoft was assured of getting considerably less than what was possible from their talented workforce. At its base, the practice assumes the workforce to be a statistically ‘normal’ population—meaning each group has few high-performers, a majority of solid ‘citizens’, and a few folk doing the minimum who are targeted for elimination. This is only true in the aggregate and quickly falls apart in smaller teams. If leaders and managers hire well then the resulting teams are composed of, at least, above-average performers. Faced with an assessment system which blocked their best efforts, employees were discouraged from unleashing their passions within transformative projects, and instead resigned themselves to politicking for positions to keep their ratings and jobs. Surviving never equals rewarding. The Economic Times article reveals an interesting fact—that employees were surprised that the company abandoned the method, even though the negative internal consequences must have been apparent. Perhaps the 2012 external article forced leaders to finally evaluate an HR practice which was implemented to ensure performance but, in reality, greatly inhibited innovation and collaboration. The employees’ disbelief revealed their assessment of those responsible. Managers need to create a comprehensive picture of how employees can strategically contribute then hold them accountable and evaluate their performance based on what’s required. Microsoft’s recent advances are impressive. I just moved our company to Office 365 Enterprise and am delighted with the collaborative environment and the value it represents. Perhaps Satya Nadella’s refreshing vision is now falling on employees who can freely work together to accomplish what’s required in a way they couldn’t previously. If true, the potential of Microsoft’s workforce is just now being unleashed. As recently reported, 14% of Zappos’ workforce chose to take a three-month package and seek new entrepreneurial or employment opportunities rather than remain and support its new, intricate, ‘self-managed’ organizational approach. When the exodus of the un-committed is complete, Zappos’ leaders hope the remaining group will more quickly progress toward their goal of becoming a ‘Holocracy’ or self-managed work environment. Some questions: Does self-management deliver agility? A business is agile when it can quickly detect marketplace changes and adapt its offerings for competitive advantage. While it could be true that self-managed employees may be more motivated to see new openings, operating with self-managed ‘circles’ may actually delay needed changes. Is decision-making/advocating now a major activity? Zappos’ ‘circles’ will require employees to influence their peers to gain support for new alternatives. Many employees are not adept at influencing peers, and those who can, can easily be resented by their seemingly harder-working, but less-influential, colleagues. The probable result: delays and politically-motivated, watered-down decisions (due to perceived career risk). Zappos’ new management and decision-making ‘system’ is complex (summarized in over 18,000 words and 35 pages on the Holocracy website) and will require re-educating the workforce to use it, consuming time and resources. Is the concept of self-management, itself, ‘natural’? It may not be. One of the ‘Occupy’ movement’s original goals was to give everyone an equal voice in decision-making. The resulting decision-making delays frustrated even enthusiastic participants. Contrary to the group’s intentions, individuals gravitated to those with a clearer, better articulated vision – ‘leaders’ in all but name. Can organizations become agile without self-management? Angela Ahrendts, then CEO of Burberry (now with Apple), described their organization’s effort to become more responsive to design and fashion trends. They empowered younger, newer employees, who were attuned to the needs and wants of Burberry’s target demographic, to share in formal meetings with older and more experienced employees. The more ‘seasoned’ employees were accountable to take their product direction from these ‘focus-groups’ of younger employees. Senior employees, however, then used their expertise (and managerial authority) to operationally direct everyone to rapidly execute the required supply-chain adjustments to bring new products to worldwide markets. Specific guidance to both groups brought agility. Can clear, considerate guidance deliver agility? I believe so. During one of his leadership conference presentations, Jack Welch, ex-GE CEO, asked attendees to put up their hands if they had come with their boss. A majority of audience members did so. Welch then asked, “How many of you know where you stand right now with your boss related to your job performance?” Only a few kept their hands up. Welch told the managers to fix the issue. Perhaps the secret to agility or improved organizational performance isn’t spending time learning a revolutionary, new structure but rather spending that same amount of time giving employees specific direction, expectations, and accountability. Eleven personal choices set Lincoln’s leadership apart and brought him support even from his foes. Here they are with adoption suggestions to increase your effectiveness, influence, and goodwill. Criticized personally for everything from his appearance to his views, Lincoln still appointed those he felt could contribute despite their previous insults. He put the nation’s interests ahead of personal feelings and earned the loyalty of once-reluctant nominees. Appoint a one-time adversary to a role for which they are suited. Even Lincoln’s staunchest political foes believed he truly wished them well as individuals. Demonstrate in some tangible way your personal care for a colleague whose views you rarely share. Lincoln sought opportunities to really listen to those who disagreed with him and reminded coworkers that similarly-focused, well-intentioned people may still differ. In the next month, set a meeting to fully listen to someone who doesn’t share your perspective. Beyond merely listening, Lincoln parsed others’ arguments to discover elements he could applaud. By starting with these, he hoped his objectivity would encourage kinship and open minds to the specific points he wished to promote. For your next proposal, argue the opposing side for whatever are common goals, then describe what you hold to be unique and critical. Lincoln never let his opposition of perspectives degenerate to the demonization of adversaries. He considered all individuals and beliefs worthy of respect. Catch yourself when you are tempted to assail the character of another and affirm their good intentions to others. Lincoln, as all good leaders, was resolute and determined, but, as a great leader, he stayed open to others’ astute arguments and willing to change his position on even weighty matters. Coach your direct reports to form well-reasoned arguments when they disagree with you, work to listen without being defensive, and look for opportunities to demonstrate your readiness to change. Lincoln knew passionate opinions and written comments can be easily misinterpreted. When possible, Lincoln met and spoke with individuals directly to allow his intent and tone to be accurately conveyed. Next time you sense a discussion is becoming pointed, decide to drop by, teleconference, or, at least, speak by phone to ensure both your ideas and respect come through. Lincoln considered that spending time on disagreements to be a waste of life’s most precious commodity. Most leaders have an internal threshold for the daily irritations we choose to overlook. This year decide to raise the level of annoyance required to provoke your reaction. Every year, determine to increase it further. Lincoln knew his own nature and the potential damage which could be caused by communicating while upset. He penned heated rebukes to release his own emotions, but then, brilliantly, aged them in a folder until objectivity returned. Create a special sub-folder in your email program or desktop folder, and determine to send heated replies or letters there to simmer for at least 24 hours. Lincoln believed mercy to be the most fruitful of character traits for building relationships and forging alliances. Lincoln knew humans fail frequently and considered forgiveness the quickest path to restoration. Choose to overlook a previous instance and decide to interact normally with the individual without first raising the matter. Lincoln’s personal objective was not to obtain a position or status—rather it was to ‘win the esteem of others’ and this “resulted in a self-validating cycle: His life goal, to win the esteem of others, caused him to respect those he met, which made them more open to his influence, which increased the potential support available to help him achieve his objectives.”** This month reconsider your objectives—Lincoln’s goal changed the way he viewed and respected others, transformed his interactions, and made him one of history’s most effective leaders. 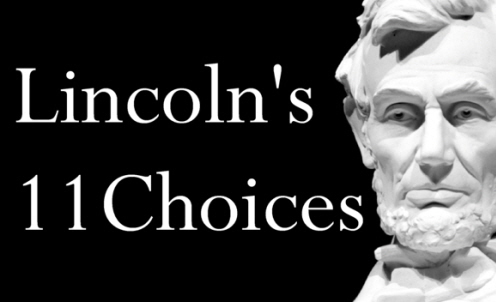 Lincoln’s choices were his—independent of others’ opinions or actions. We, as leaders, can likewise choose and make our workplaces better—worthy of employee engagement and outstanding loyalty. Please pass this on, especially if you’re thinking of a colleague right now who you’d like to challenge or encourage. 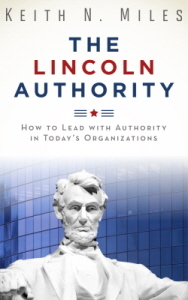 Keith N. Miles MBA is an author, speaker, management consultant, and President of Streamlined Management Group Inc. His new book, The Lincoln Authority (Amazon US, CA, UK) is a leader’s guide to the exercise of firm and positive authority—because only balanced leadership delivers immediate results and keeps employees engaged. The Lincoln Authority is concise, practical, and authority principles come alive with brief glimpses from the life of Abraham Lincoln.